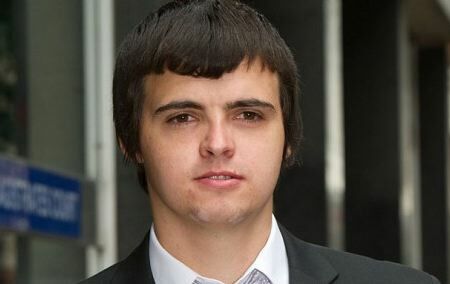 26-year-old Glenn Steven Mangham, a student in the UK, has been sentenced to eight months in prison for hacking into Facebook from his bedroom at his parents house. Facebook spent $200,000 (£126,400) dealing with Mangham's crime, which triggered a "concerted, time-consuming and costly investigation. Glenn Mangham, 26, admitted to infiltrating the website between April and May of last year. Apparently no user details were taken, as he went straight for “invaluable” intellectual property instead. Facebook alerted the authorities last May after they discovered the breach. The FBI took care of the rest, tracing it all back to the UK address. He found his way in by hacking into the account of a Facebook employee. Facebook operates a bug bounty program in which it pays ethical hackers up to $US 500 for quietly disclosing vulnerabilities. According to reports of Mangham's court appearances, the software development student claimed to have been an ethical hacker who had previously breached Yahoo's system as a service to that company. "It was to identify vulnerabilities in the system so I could compile a report that I could then bundle over to Facebook and show them what was wrong with their system," Mangham told Southwark Crown Court. The judge decided that this was not Mangham's intention at the time.